“The Chison ECO5 ultrasound is a low- to mid-range ultrasound machine that includes a range of high-performance technologies and a streamlined workflow, ideal for entry-level users. The ECO5 is also one of the lowest-priced Doppler ultrasounds on the market, and it provides competitive image quality when compared to other, similar ultrasounds. The ECO5 includes a portable, durable design made for movement and efficiency. This means that physicians can easily and comfortably move the ultrasound from one room to the next throughout the day. Additionally, networked clinics can share the ultrasound service (including costs and profits). Operators can take advantage of this system’s 12-inch LED monitor and wide, 30-degree viewing angle. Some of the advanced imaging technologies on the ECO5 ultrasound include i-Image, THI, SRA, and Compound imaging. After taking the images, you can store them on the ultrasound’s built-in 8GB memory card or the optional 320GB hard drive. There aren’t a lot of machines in this price range that feature color Doppler, reliability and solid imaging performance. 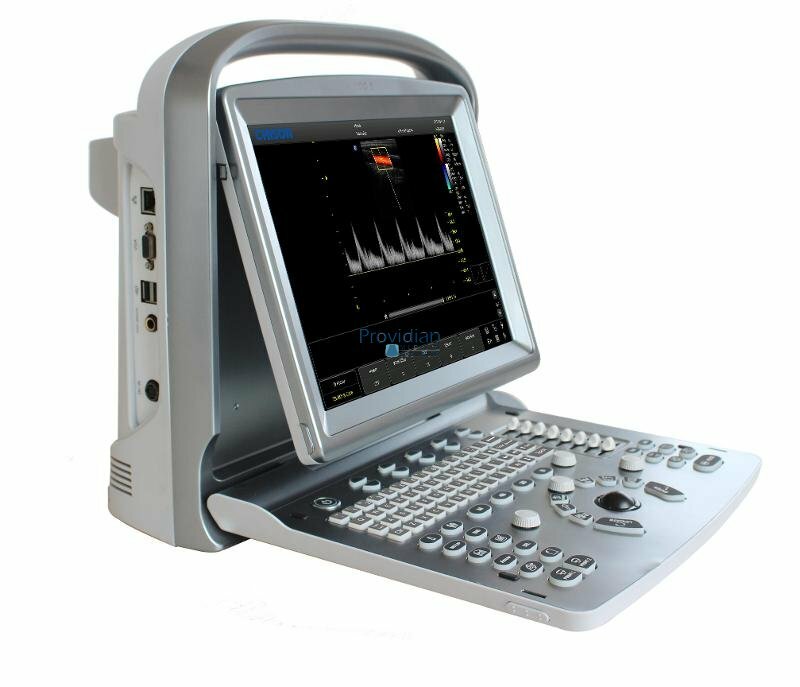 The introduction of the ECO5 brings to the market a reasonably priced color Doppler ultrasound machine with an extended warranty. We found the ECO 5 to be easy-to-use and customize. Its features include items you’ll find on more advanced imaging systems and the customizable features can help improve workflow.